Marwencol, a documentary by Jeff Malmberg, is about an artist, Mark Hogancamp, who was attacked and severely beaten by five men outside of a bar one night. He suffered brain damage and lost most of his memory. He also lost his ability to draw, which had been one of his favorite past-times. (Interestingly, Hogancamp had been an alcoholic before the attack, but afterwards lost all desire for drinking.) While recovering, Hogancamp begins buying dolls and constructs a 1/6 scale town in his backyard. He names it “Marwencol” and imagines it to be a village in World War II-era Belgium, where American, British and German soldiers gather to find respite from the war. Through photographs, he creates a series of stories about the residents of the village, who are threatened by SS soldiers. These stories are clearly revenge fantasies, usually ending with Hogie (Hogancamp’s alter ego) being rescued by beautiful women. He also shows a tendency to dote on his female dolls. Hogancamp is discovered by a local photographer, who bring his work to the attention of an art magazine. They arrange for his photographs to be exhibited in an art gallery in New York. Hogancamp is nervous about the opening, but he finds his work well received. The film ends with Hogancamp having Hogie create his own miniature village within a miniature village. Whether or not one agrees with that last sentence, one must admit that there is a growing interest in outsider art, and that it is motivated, at least in part, by a dissatisfaction with the current state of contemporary art: a feeling that art has become too mannered and self-conscious. (The highly entertaining documentary, Exit Through the Gift Shop, touches upon this theme.) In Marwencol, a critic who discusses Hogancamp’s work, notes the complete lack of irony or parody in it. Hogancamp’s fantasy world is meant to be accepted entirely on its own terms. 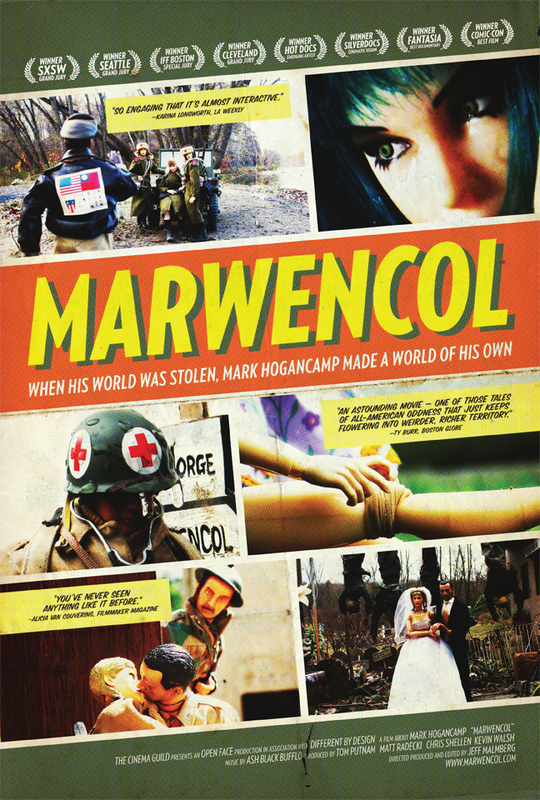 Marwencol is a celebration of the creative impulse. I highly recommend seeing it. You can find examples of Hogancamp’s work here. This entry was posted on February 19, 2011 at 8:17 am and is filed under Art, Cinema. You can follow any responses to this entry through the RSS 2.0 feed. You can leave a response, or trackback from your own site.